Melioidosis is a tropical bacterial infection, rarely encountered, and poorly known by clinicians. In non-endemic areas, a misdiagnosis can lead to a fatal outcome. This study aims to identify the main characteristics of imported and diagnosed melioidosis cases in Europe to increase clinician’s awareness of this diagnosis. 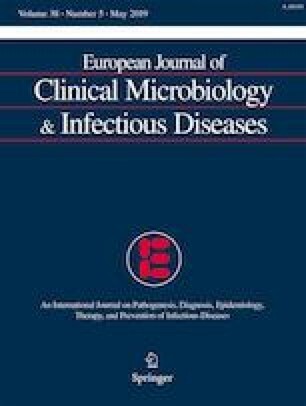 A literature review of imported and diagnosed human melioidosis cases in Europe was performed. PubMed and Web of Science search engines were used for retrieving articles from 2000 to November 2018. Seventy-seven cases of imported melioidosis into Europe described in the literature were identified. More than half of the cases were acquired in Thailand (53%) by men (73%). Patients were usually exposed to Burkholderia pseudomallei during a holiday stay (58%) of less than 1 month (23%) and were hospitalized during the month following their return to Europe (58%). Among travelers, melioidosis is less often associated with risk factor (16%), diabetes being the most frequently comorbidity related (19%). The clinical presentation was multifaceted, pneumonia being the most common symptom (52%), followed by cardiovascular form (45%) and skin and soft tissues damages (35%). The diagnosis was obtained by culture (92%), often supplemented by morphological, biochemical, and molecular identification (23%). Misdiagnoses were common (21%). Over half of the patients received a complete and adapted treatment (56%). Mortality is lower for returning traveler (6%). Imported melioidosis cases into Europe have their own characteristics. This possibility should be considered in patients with pneumonia, fever, and/or abscess returning from endemic areas even years after. The online version of this article ( https://doi.org/10.1007/s10096-019-03548-5) contains supplementary material, which is available to authorized users. We thank Dr. Franck Touret for his careful reading of the manuscript.